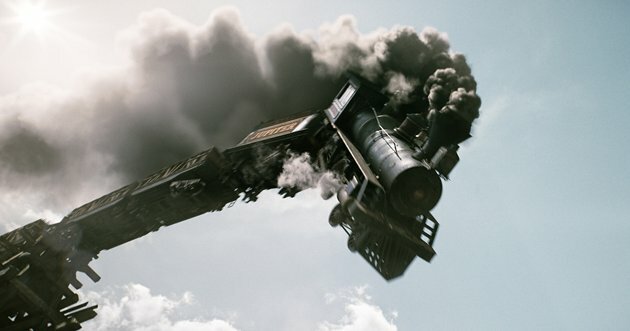 Did Delaware Just Run Off The Cliff? 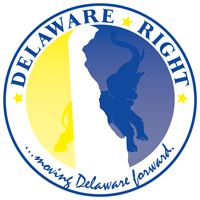 Last night at midnight was the deadline for the Delaware General Assembly to pass a balanced budget. Well guess what? They didn’t. Instead, what they did, was to pass a continuing resolution which will keep the lights on until midnight of July 3rd. As I have pointed out previously, in my opinion, this is in direct conflict with the Delaware Constitution, which mandates there “shall” be a balanced budget upon the first day of the new fiscal year. I have also spoken with a person with a great deal of legal knowledge, who also believes this resolution is most likely unconstitutional. This sets such a bad precedent, and opens the door for further abuses of powers by this, and future General Assemblies, that we as a state may have just been driven off the proverbial cliff. And before anyone shows up and declares this is the fault of this party, or that party, let me make this perfectly clear. The vote to pass this continuance of funding, was unanimous in the House, 41-0, and in the Senate, 19-0, and two absent. I guess Senators Bonini and Cloutier were on emergency bathroom breaks, or maybe taking naps on the couches in their offices. I really hope this was not intended to somehow supersede the state constitution. And even if not, the idea these Legislators, and I now use that term very loosely, seem to have come to the conclusion, they can basically say, “because we say so”. I as a conservative have always opposed continuing resolutions at the federal level. I also do not feel shutting down the government is the answer. The answer is, for our elected officials to do their damned jobs. Which by the way is to ensure there is a balanced budget on the first day of the new fiscal year. What is not in their job description, in my view, is to spend unknown amounts of time slapping themselves on the back with resolutions. It is not to spend time creating special days for this group or this person, or dog of the year. It is not to bring groups of people onto the chamber floor to honor their service, or their contribution. I wonder if the average person cares about these waste of time resolutions, which serve only to make some special interest group feel good about themselves. Here is an idea, Monday when you go into work, tell your boss you are going to take fifteen or twenty-minute out of his work time to bring a friend in, and honor them for being your friend. See how that goes. I am sick and tired of watching as the clock and the calendar draw down to June 30th, as the so-called legislators waste time, with things that have nothing to do with the real business of running this state. I am sick and tired of one party blaming the other, when the problem is systemic. Give me just one elected official with the courage to stand up and speak out against such abuse of the citizens of this state. Just one. The budget should be finalized, but not passed, by the first of June, and dare I say it, publicized so the citizens can read it, and contact their elected officials. This would allow for real public input. But this would require real leadership from within both parties. And we all know that does not exist. What will it take, for the average citizen to become as angry, as I, and others who follow this a little more closely have become? Will it be the increases in taxes? The cuts to some favorite organization? Or have we actually run the train off the cliff, to the point where no one cares anymore? 7 Comments on "Did Delaware Just Run Off The Cliff?" As I have pointed out previously, in my opinion, this is in direct conflict with the Delaware Constitution, which mandates there “shall” be a balanced budget upon the first day of the new fiscal year. In the world of Humpty-Dumpty, words mean what the political intelligensia say they mean. This is why I felt that the legislature should have amended the constitution to strip the Sheriff of his clearly granted powers. And now you see why they did it by edict. Not even close Rick, the term conservator of the peace was not clearly defined within the constitution, but it does clearly define what is a balanced budget and when it is due. Nice try. Really? You don’t know what “conservator of the peace means?” Really? Hint: it means one who conserves the peace, i.e, a peace officer. Nobody cares if the Sheriff is the conservator of the peace. Not sure why Rick wants to go back and fight a battle he and others already lost. But Rick, again, the term COP was not defined, nor spelled out within the constitution, thus leaving it open to interpretation. In the case of the budget, there is no such ambiguity, it is clearly defined as to how and when. I’m sorry those who crafted the state constitution left you and Just Jeff hanging out to dry, but please try to remain on topic. The topic is the state budget, and the General Assembly’s abdication of their responsibility. Not sure why Rick wants to go back and fight a battle he and others already lost…. No, the people of Delaware lost. After all, the Delaware Constitution is the people’s document. I guess Frank doesn’t understand what “conservator of the peace” means. To him, the phrase is ambiguous. Well, it isn’t to me, or anyone else with a normal understanding of the English language. But Frank needs an interpreter. Someone to tell him what it means. And like a lemming, he follows. The state legislators could have amended the constitution when they created the state police. They could have amended the constitution when the Sheriff controversy arose a few years ago. But they didn’t. Instead, they injected ambiguity and set a precident for ignoring other clauses of the constitution, as they did over the budget. They did not follow the statutory injunction codified in the constitution. They ignored it. And it will happen again and again and again. When words and their obvious meaning are ignored, anything is possible. And that is the “liberal” legislators dream- the ability to do anything, unfettered by statute of constitutional mandate. Congratulations Frank. You and the ambiguians won and the people lost. So quit whining when politicians violate the constitution when you advocated violating it yourself. This is exactly why the lawmakers are able to get away with what they do at both the state and federal level. They have a job to do – produce a balanced budget. When they don’t do their job, we have to call them out o it and hold them accountable. ALL DAY LONG. Apparently things like balanced budgets make boring topics, so we quickly move onto more interesting things, like sheriff duties. We get the government we deserve.